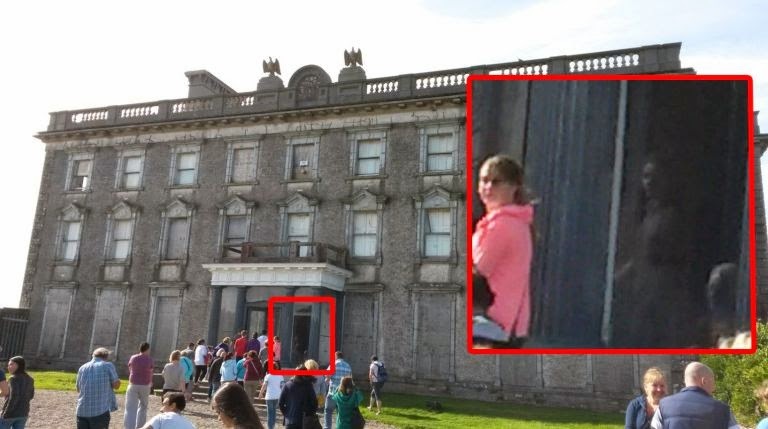 Last Summer, a tourist captured an image of a supposed apparition at the infamous Loftus Hall in Wexford, Ireland. It's a curious photo if taken at face value. Most skeptics simply regarded it as a manipulation. What do you think? A tourist who visited a notorious haunted mansion in Ireland believes he may have photographed the ghost of a little girl. Thomas Beavis, 21, from Lewisham, made the spine-tingling discovery as he flicked through his camera on the drive home from Loftus Hall in Wexford. He took the snaps for his mother while on a tour with his friends – but captured what could be the spirit of little Anne Tottenham and the spooky face of an old lady in a window next to the front door. He told Metro.co.uk: ‘I only really looked at the photo while we were driving home – I was actually stunned. ‘We were all feeling a little edgy from the tour but when I showed the photo to my friends we freaked! Stories suggest that the Tottenham family moved into the mansion around 1766. But the youngest, Anne, fell ill after an encounter with a demonic spirit. She was shunned by her family and locked away in a room in the huge estate until she died. 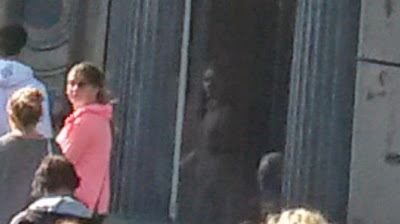 At first glance the holidaymaker thought it was someone’s reflection, but on closer inspection he noticed that the suspected ghost is looking the opposite way to those outside the house. Mr Beavis added: ‘I got chills, and still do. The girl could be the spirit of Anne Tottenham still walking around Loftus Hall. It could have been some strange occurrence because of a supernatural power, but I don’t know.